@Brent Vatne does the arrival of unimodules and planned slimming of the core expo SDK mean that an optional "expo-payments" module might be possible for managed projects in the nearish future? @Julian Regan: we're working on another project right now that, if it works out well, may make this doable in the medium term. tl;dr for the project - what it does is enable you to do your own build of the expo client on our build service using an ad-hoc provisioning profile, so after we do that we need to make it possible to opt-in / out of certain libs during client and standalone build. no firm timeline on this at the moment. @Brent Vatne: awesome news, that approach sounds bang on. thanks to you and the team for your relentless hard work in building this incredible ecosystem! @Brent Vatne: Is this limited to Expo libraries? Wondering this isn't implemented....absolutly must have!!! For my group this is a must-have feature. +1. How is this the top-requested feature, but not planned in the “Expo for Professionals” roadmap? Professionals making apps need to charge for them sometimes, or take payments! Any update or plans in 2019? This functionality is the biggest blocker for me. We are having to plan a huge workflow for detaching because of this issue. Really sad, Expo has so much promise. Still this is a business-killer. Subscriptions and in-app purchases are something I'm going to absolutely need in the near future. I'm hoping to avoid ejecting, although that looks unlikely. Perhaps integrating RevenueCat (https://www.revenuecat.com) could be a way forward? @Brent Vatne - Would it make sense to accept some of the volunteers to start working on this ? This needs to happen! It’ll enable a whole class of apps that aren’t possible to sustain with a flat fee: games, marketplaces, dating apps, productivity apps, or any SaaS app. Not to mention that Apple has strict rules about going through their payment processor. Without this, Expo isn’t as “empowering” as it claims to be. This would be a game-changer for Expo, please increase its priority! Is there anything I can do to help get this started? Hi guys, can we have an update wether this will be implemented or not and a possible timeframe? We just faced a rejection from Apple and have no clue if we have to ditch expo or wait for this to be implemented. Any idea if this would become a reality? We are ready to start selling subscriptions through our App, and Apple has clearly stated that they will not allow developer to redirect users the business or developer's site in order to make the purchase or sign up for a subscription. I've read in other posts that this request has been laying down here for months. It is also highly needed for Android Apps. Hope to see it released soon. Any update? This is a huge deal breaker for us. Is there any update on this? Seems many are willing to contribute? I'd be very happy to contribute on this one. How could I do that? I understand Expo removed IAP as Apple rejected apps with the Payment SDK if they did not actually perform any payments. 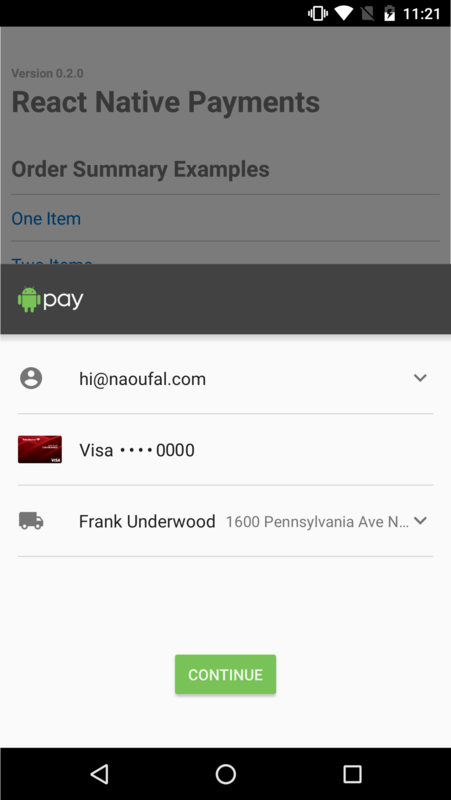 Would it not be an option to enable or disable the payment SDK with IAP functionality for Androd and iOS incl. Subscriptions with a build parameter or flag? Expo could keep the current behavior, but for anyone requiring the Payment library, a build flag would allow to include it. Is there anything the community can contribute to this one? Planning, research, documentation, development, etc. Please do email me if you need extra help/eyes on this task, i'd be happy to contribute! Can we just get IAPs? There is nothing more important you guys should be working on than this. It’s the only thing that stops me from using Expo. Without it, we’re basically building webpages :P And it’s been a year since I’ve built my first Expo app and still no concrete plans? @Kjell Connelly: I just had to move an app off of expo because of lack of IAP... I'm using vanilla RN with AppCenter. It's not too bad but it took a couple weeks to get a grip on all the moving pieces. This feature is extremely relevant for choosing expo in the future projects. @Leia: agree... this is the deal breaker for hundreds of apps I'm sure. It's great and fun to see semi-obscure APIs like AR included but not anyway to add subscriptions (and not cross apple). I can't imagine any other API taking precedence over this one. Who is voting for bluetooth over this?! how to implement in-app purchase using expo and what are necessary steps we need to follow to implement this. @Timo Jääskeläinen: Yeah it really opens the door up for people to say "Expo is great but only for apps that don't make money"
@Chris: react-native-iap is cross platform and works great. The guys working on it did a lot of interesting changes lately and this lib is slowly becoming very relevent. Please add support for in app purchase . I think it's very important feature. @Christ: Yeah this seems like a huge huge short fall. It's a must have, would be nice to integrate https://github.com/dooboolab/react-native-iap to expo. @alan_langlois: I wonder what is holding expo back from doing a wrapper of this for v28. @dooboolab: Very cool. Just what I need in the interim. Thanks for posting. @Jack Kinsella: Thanks. I didn't want to detach from expo app but had too because of this feature. This has been on the radar for so long, when can we expect this ? I need to detach only because In app purchases is not supported. I want to stay with expo! @Brent Vatne just out of curiosity, I'm sure this is on your radar, as most apps would generate revenue through the feature, but how come it is being delayed so much, is it complex to implement? maybe this is the area expo could monetize somehow? Apple takes a big chunk already, but skimming another 1-2.5% may be okay with some people if the API really does save a lot of implementation time and maintenance for in app purchases. @arcom: I'm not sure this would resonate well with developers, I think best solution for expo would be to introduce monthly fee for their services (push notifications, apk builds, code push etc..) I'd be more than happy to pay for expo as a tool / set of services rather than In app purchase revenue share. Also, I assume there will be way more projects using expo that are free / don't generate revenue where expo will benefit more from above mentioned subscription fee. Never the less, this is an interesting idea. @Chris: Yeah. I'll use expo either way, but it would be nice to know expo can sustain itself as an organization. Payments is the biggest missing feature from expo by far. I wish they'd focus 100% on this instead of stuff like adding haptic api or these other niche bridges. I mean, how many people are building apps that will never need to make money? And I think using the stripe API is against apple policy (but still not sure on this). I believe this also addresses subscriptions?